Kazakhstan’s first low-cost carrier (LLC) FlyArystan is taking delivery of its first two narrow-body Airbus A320s later this month. Currently, the six year-old aircraft are undergoing scheduled maintenance work at the Mineralnye Vody base of Russia’s maintenance provider S7 Technics. The aircraft have been requisitioned from the fleet of parent airline Air Astana, but will be repainted in the colours of the new LCC. In addition to the scheduled maintenance, S7 Technics is also reconfiguring each aircraft’s cabins to accommodate 180 seats in full economy layout. They will be equipped with new Recaro 3530 SLIM seats, with a 70-82-cm pitch. 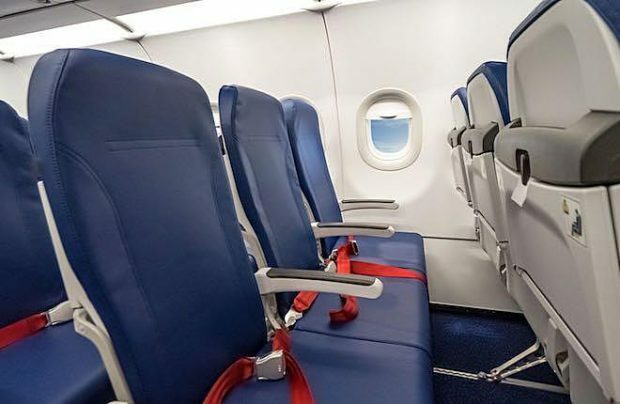 “Experienced travellers, especially those who have used the services of European or Asian LCCs, know that the majority of budget carriers offer only fixed seat-backs that cannot recline and therefore passengers have no opportunity to make themselves more comfortable. We take [better] care of our passengers and make our seats reclinable by five cm and we are also providing increased legroom by relocating the seat-back pockets to the top of the seats,” enthuses Janar Jailaouva, Fly Arystan’s director of marketing and sales. FlyArystan was created in November 2018 by the order of Kazakhstan’s then president Nursultan Nazarbayev who is now the leader of the nation. Initially, the LCC will use the parent airline’s Air Operator’s Certificate, but aims to apply for its own in the future. The start-up is to perform its inaugural flight on May 1. It will primarily operate only domestic routes before gradually expanding its geography to neighbouring countries. The LCC’s initial fleet consists of four Airbus A320s but, by 2022, there are plans to increase the new airline’s fleet to 15 units. S7 Technics, Russia’s biggest aircraft maintenance service provider, won the tender to perform C-checks on the Airbus A320 family of narrow-body aircraft and Boeing 767 wide-bodies operated by Air Astana last year. In total, there are more than 40 base maintenance checks on Kazakhstan’s leading airline’s aircraft scheduled for completion within the 2023-2024 timeframe.